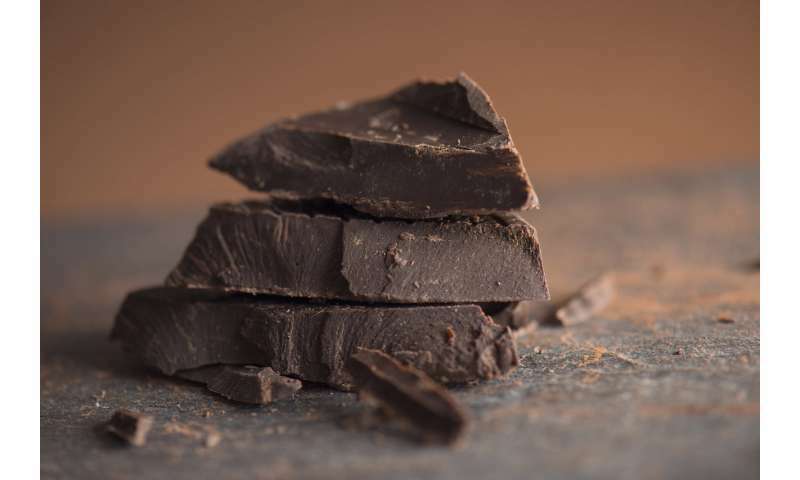 "For years, we have looked at the influence of dark chocolate on neurological functions from the standpoint of sugar content - the more sugar, the happier we are," Berk said. "This is the first time that we have looked at the impact of large amounts of cacao in doses as small as a regular-sized chocolate bar in humans over short or long periods of time, and are encouraged by the findings. These studies show us that the higher the concentration of cacao, the more positive the impact on cognition, memory, mood, immunity and other beneficial effects." • This pilot feasibility experimental trial examined the impact of 70 percent cacao chocolate consumption on human immune and dendritic cell gene expression, with focus on pro- and anti-inflammatory cytokines. Study findings show cacao consumption up-regulates multiple intracellular signaling pathways involved in T-cell activation, cellular immune response and genes involved in neural signaling and sensory perception - the latter potentially associated with the phenomena of brain hyperplasticity. • This study assessed the electroencephalography (EEG) response to consuming 48 g of dark chocolate (70% cacao) after an acute period of time (30 mins) and after a chronic period of time (120 mins), on modulating brain frequencies 0-40Hz, specifically beneficial gamma frequency (25-40Hz). Findings show that this superfood of 70 percent cacao enhances neuroplasticity for behavioral and brain health benefits.